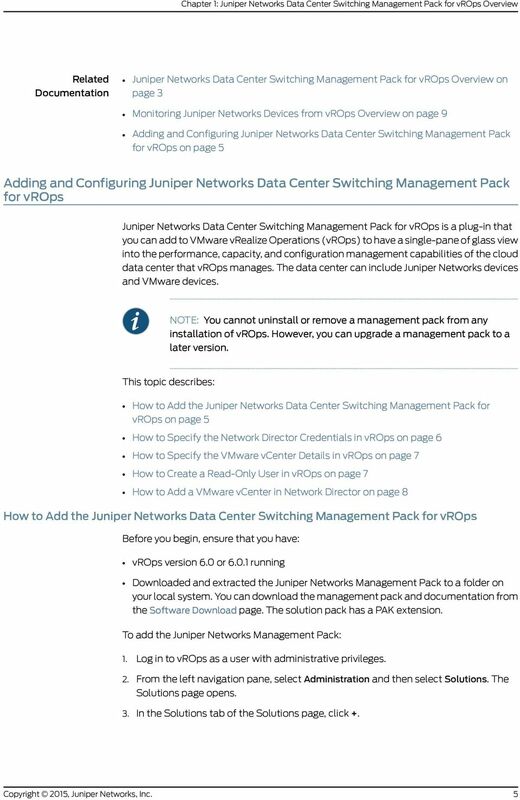 Download "Juniper Networks Management Pack Documentation"
Junos Space. 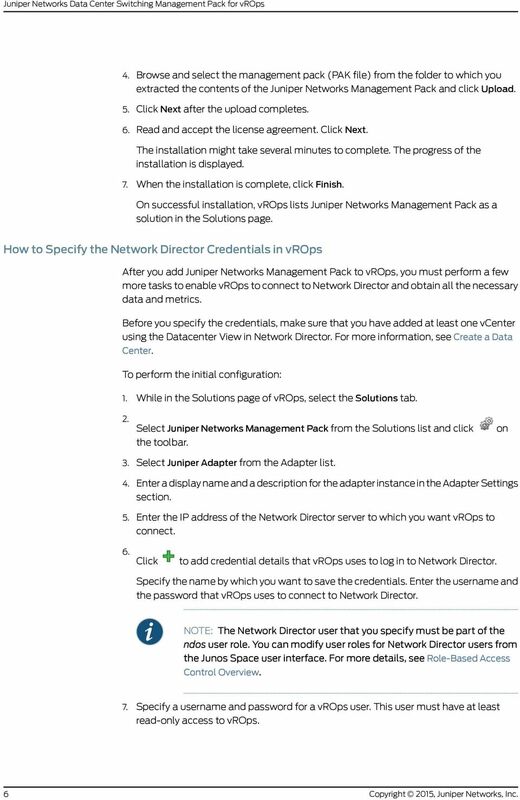 Network Director Quick Start Guide. Release 2.0. Published: 2015-02-13. 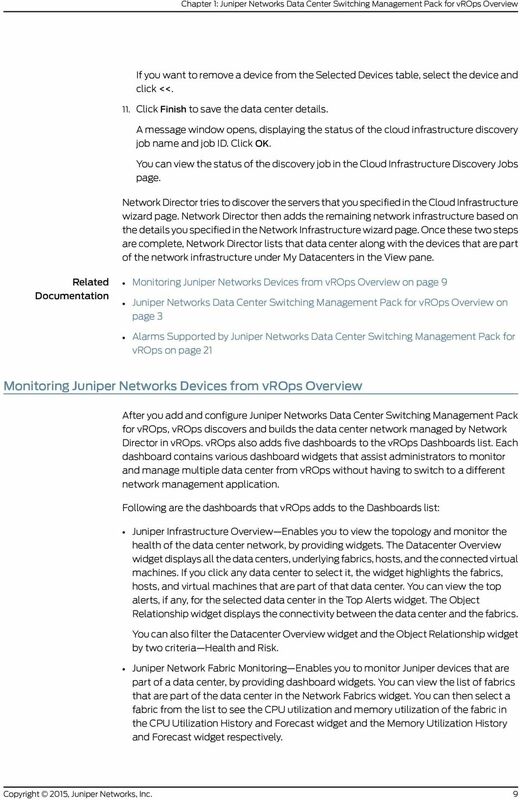 Copyright 2015, Juniper Networks, Inc.
Junos Space Network Director Quick Start Guide Release 2.0 Published: 2015-02-13 Juniper Networks, Inc. 1133 Innovation Way Sunnyvale, California 94089 USA 408-745-2000 www.juniper.net All rights reserved. After you have created your text file, see Adding a Log Source. 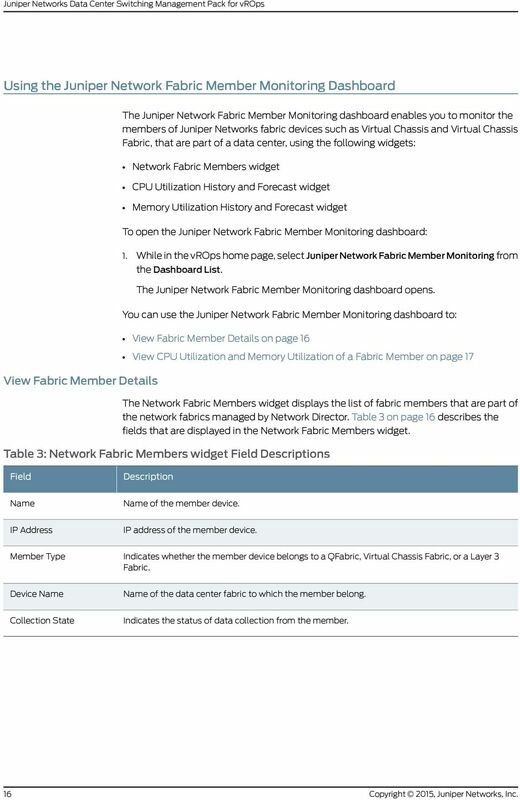 Junos Space. 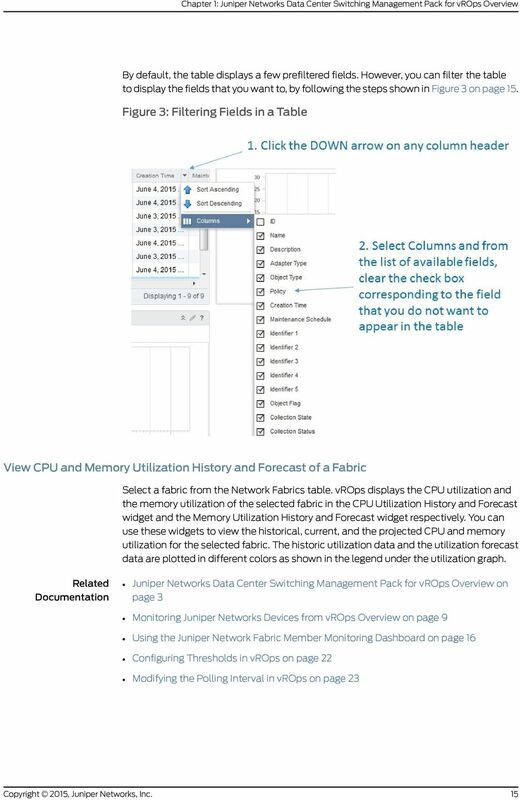 Service Now User Guide. Release 13.1. Published: 2013-06-29. 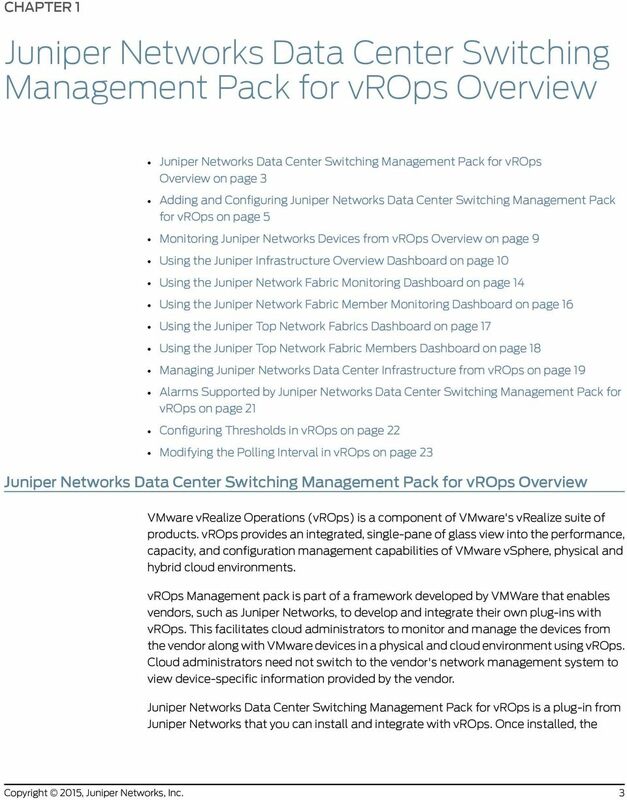 Copyright 2013, Juniper Networks, Inc.
McAfee. b Under Self Service, click Product Documentation. 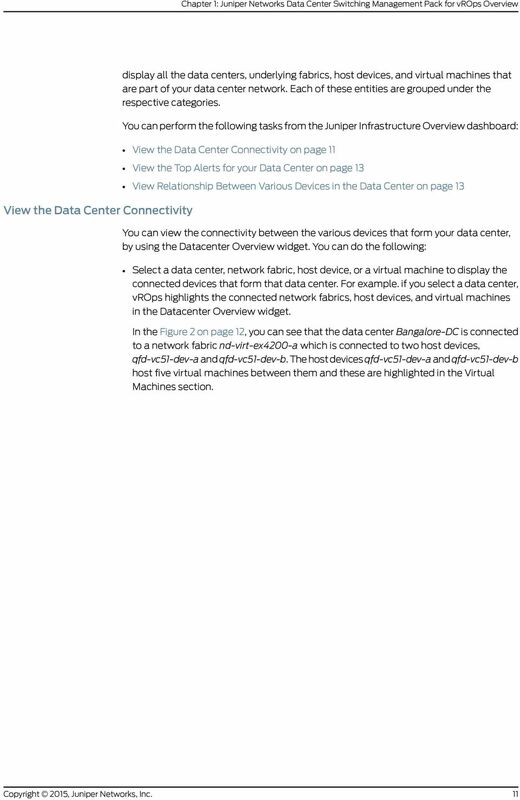 d Download the model S7032 installation guide. 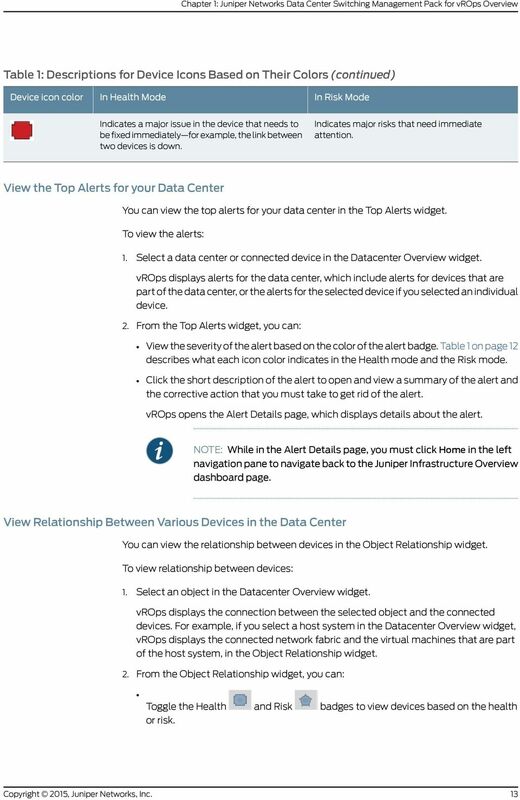 Dell SupportAssist Version 2.0 for Dell OpenManage Essentials Quick Start Guide Notes, Cautions, and Warnings NOTE: A NOTE indicates important information that helps you make better use of your computer. Firefly Host. 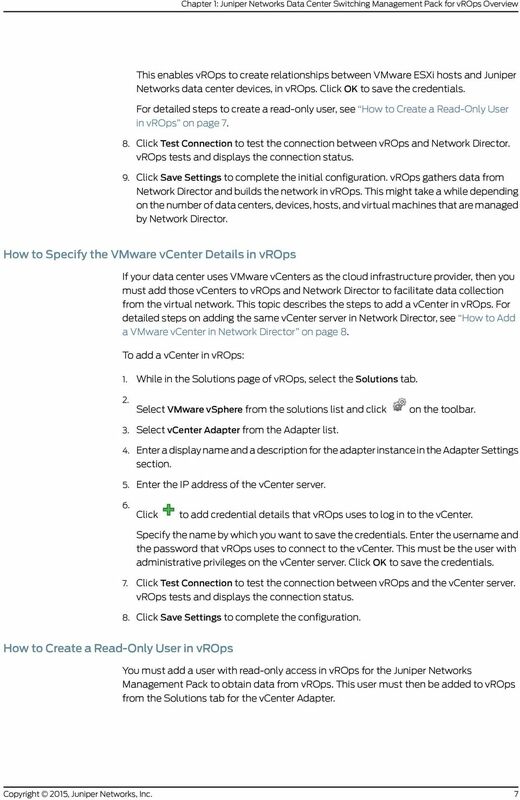 Installation and Upgrade Guide for VMware. Release 6.0. Published: 2014-01-14. 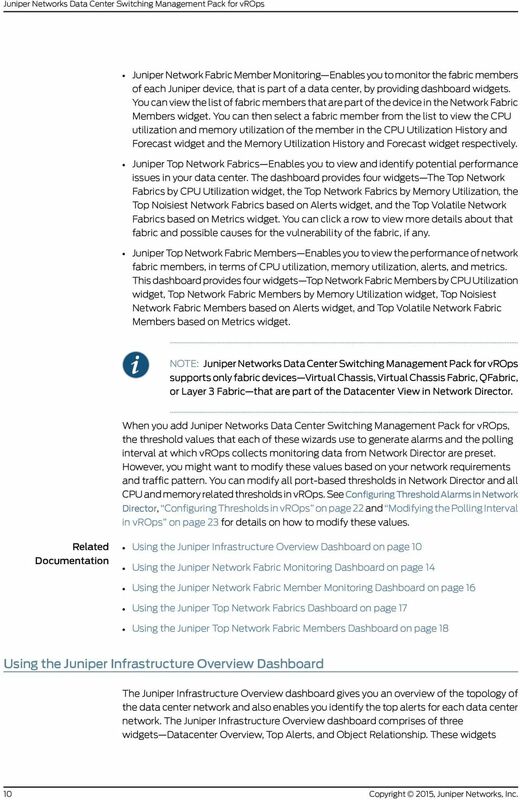 Copyright 2014, Juniper Networks, Inc. 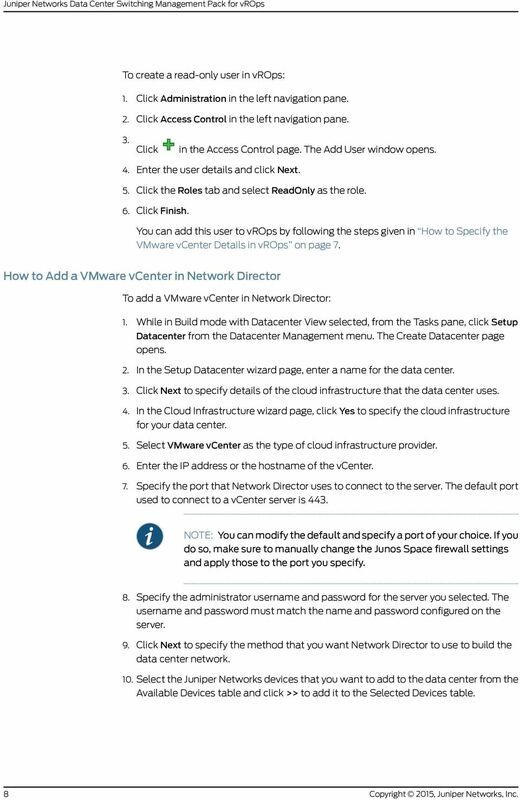 Deploying System Center 2012 R2 Configuration Manager This document is for informational purposes only. 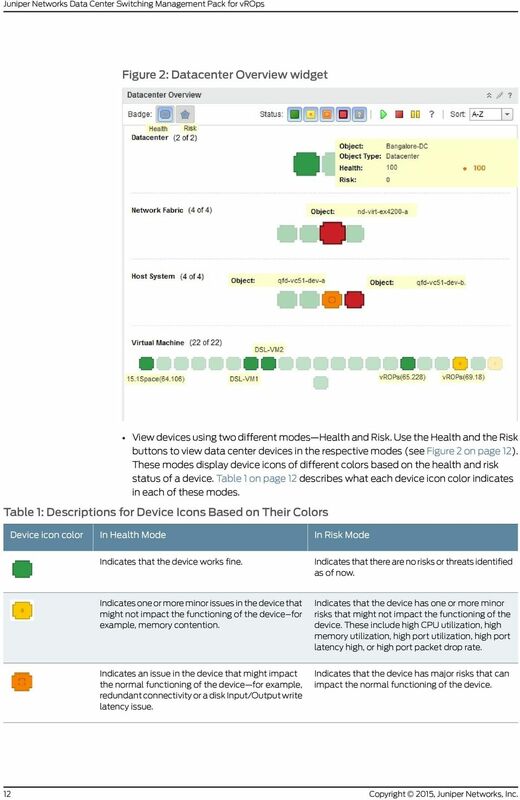 MICROSOFT MAKES NO WARRANTIES, EXPRESS, IMPLIED, OR STATUTORY, AS TO THE INFORMATION IN THIS DOCUMENT. DDoS Secure. 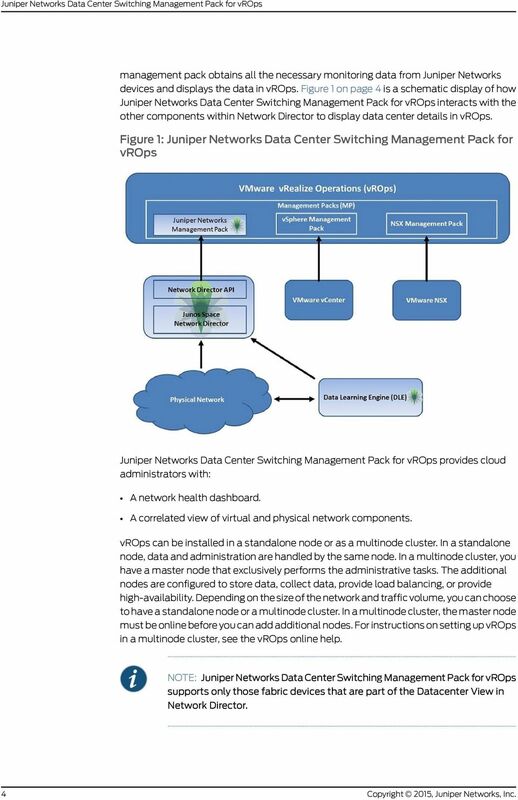 VMware Virtual Edition Installation Guide. Release 5.13.2-0. Published: 2013-11-25. 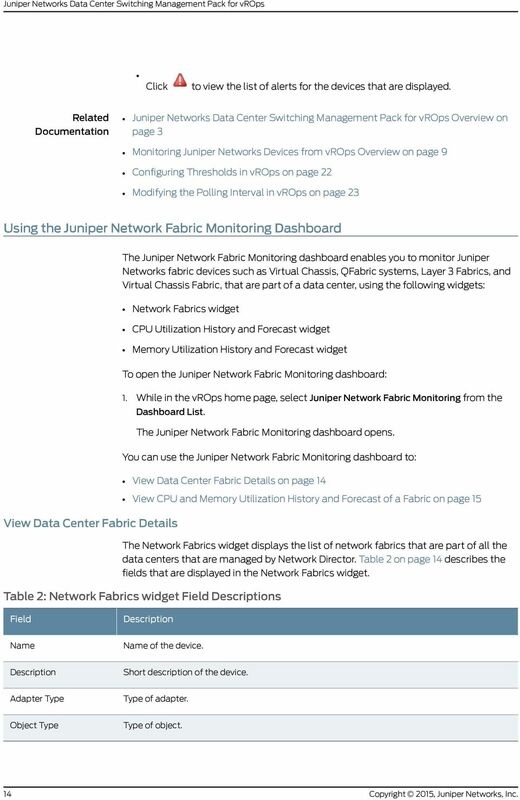 Copyright 2013, Juniper Networks, Inc.
VCS Monitoring and Troubleshooting Using Brocade Network Advisor Brocade Network Advisor is a unified network management platform to manage the entire Brocade network, including both SAN and IP products.